I use Canon equipment exclusively. My everyday camera is a Canon 5D Mark II. It is a work horse of a camera with over 250,000 actuations (pictures taken) and still gets the job done everyday. The lenses I use most often are a 24-105mm L IS USM lens and a 70-200mm L IS USM F/2.8 Telephoto lens. I have 3 other lenses I us for specific events and occasions. I also have a Canon 50D which I started with in 2009. It has been relegated to a backup camera now only because I prefer the 35 mm format that the Canon 5D Mark II offers. When will you post the pictures from last week? As soon as I can. I am just one guy. Please be patient and keep checking back in my store here and keep in mind they stay online indefinitely, so your patience will be rewarded! How long do photos stay online? At the moment Indefinitely! Everything I've shot from the beginning until now is still online in my store here. I will be making decisions on a timeframe based on responses. The more photos order from a particular album, the longer it will stay on. Any advice for finding our photos among the thousands you post? Yes! First, make sure you are looking in the correct date. Also, set it to display 100 thumbnail images per page, instead of the default 25. And finally, create a photo album when you start finding your photos, and put them in there. It's a free service on Photoreflect and you'll see the option to "add to album" beneath the larger version of the image. Which category should I look in? I try to make things easy on you by splitting it up by category, but some of you folks on "cross-over" bikes that are a mixture of 2 (or more!) categories, might have a hard time finding yourselves. I try to sort by what the bike is at it's core, regardless of what the dealership or owner has added. Basically, all Harley Davidson's go in Cruisers, along with Valkyries, Magnas, etc. 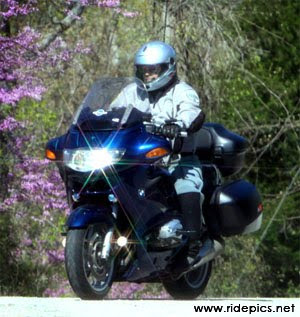 Touring Bikes category is home to the Gold Wings, most BMWs, Pacific Coasts, Concourses, etc. I was there one day and I don't see any pictures of me! I put all of the photos we take online, there is no reason not to. If you don't see your photo in the shots of that day, you may have gotten out there before I did, or passed through after I stopped for the day, or I just missed you somehow. (I generally shoot from about 10 am to 4 pm) I sincerely apologize if I didn't get a shot of you. You may also try looking through a different category. If you don't see any pictures at all posted from that day, they're not uploaded yet, (takes about a week) or I wasn't shooting. ( I have a wife and another life) You may have seen someone else taking photos, but it wasn't me. Some folks are out there shooting to take home their own mementos. Some folks are shooting for business. Shipping starts at $5 in the US, contact me for shipping to other countries. What can I do with the digital images on CD? Whatever you want, in a personal, non-commercial manner. If you want to make prints, or copies, that is fine, as long as they are not being used to make money. If you want to use the images commercially, all we usually ask is that you credit "ridepics.net" and let us know about it. There is a copyright release included on all CDs. No, sorry. Photoreflect handles all of our transactions, and we can not process credit cards ourselves. They handle all of that securely, and we do not see any of your payment info. They do not accept orders by phone either. Photoreflect dropped the option to pay by check as of 2009. Orders can only be made by secure credit card processing. Can I modify/change/combine my order(s)? Not likely. As mentioned above, Photoreflect processes the payment info. Once that process has been completed, the order is locked-in for your own security, and sent to us for fulfillment. About all we can do at that point is fill or cancel the order, so it's important to look through all shots and make sure your order is correct before submitting. Funds are set aside from your card at the time of the order, but we do not get paid by Photoreflect until several weeks after the order is shipped to you. If there is a problem processing your card, the funds may be set aside temporarily, but they will go back in a few days. We don't ask them to do this, it's your bank's bright idea. Special request orders require more time to process. All different digital images ordered are placed on ONE CD. If you order a quantity of more than 1 particular digital image on CD, you will get that many CDs. If you're ready to order, you can proceed to my store here! I'm coming to the Northwest Arkansas and Eureka Springs area soon, will you be out there? If it is a weekend, most likely. I work a regular 40 hour a week job and shoot on weekends from about 10am until 6pm during the riding season. (March - November) Look for my street signs RIDEPICS. Enjoy your trip, and hopefully when you get home I'll have some shots of ya. What will the weather be like when I get there? Ah the big question...if I knew the answer to that you wouldn't be reading this. The only thing you can do is keep an eye on the forecast like the rest of us mortals. If you're curious about what it is usually like at a certain time of year, check out one of the archives for daily averages like this one. $6 to "Push a Button" Isn't that kinda high? Only $6 a shot? Most Photographers charge 10 times that! Hey, I love what I do, and want everyone to be able to afford a few shots of themselves, not just the rich folks. The kids struggling through school and spending their last dime on riding gear should be able to get a few shots too. Don't let the low prices fool you, these are professional-quality shots. My name is Joe Skaggs. I worked for Ma Bell for YEARS and YEARS, but my heart was on the road, riding free. I know how it feels to see yourself on your bike at a special event and wish "I'd sure like to have had a picture of that!". So, that's why I am out here taking pictures for you. I hope you found all the answers you were looking for. If you need any other info, feel free to Contact ME. This page was created by our friend and fellow photographer, Darryl Cannon for his site, killboy.com. We gratefully acknowlege his permission to use his pages to model our site. Thank you, Darryl. 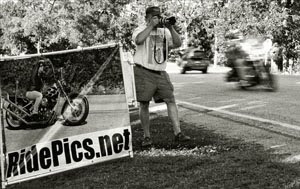 Please visit him at killboy.com and see some great shots from the Tail of the Dragon at DealsGap.